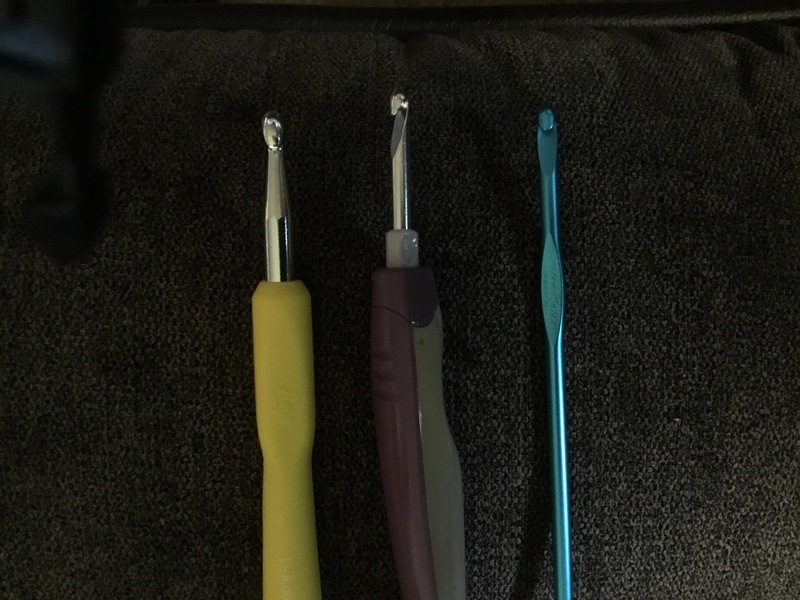 I have an interchangeable hook kit (middle hook in picture) that I like the handle on but need some independent hooks bc my son has a habit of running away with my hook. I much prefer inline hooks (Susan Bates on the right) but I tend to hold it where the thumb hold/flat part indents my middle finger. I had previously bought the Boye hook (left, different size) & like where the handle sits. Hi, you posted a similar question recently and Magiccrochetfan mentioned Bates (inline brand) offered a bamboo handle, and I offered a do-it-yourself idea. I know with all the forums sometimes it's easy to lose where you posted something. edit - accidentally posted to one of your replies instead of the thread and can't figure out how to fix it, but you can get to the whole thread from there.